hear stopping at the top to socialize with the other cyclists on a sunday morning is the thing to do – so much for training… So after a quick break, we headed back down and towards Suikerbossie for some more hill climbing, then back down through Camps Bay, Clifton and back home. Chatting to Chris after the ride, he decided to inform that Suikerbossie was a breeze and that come Race Day he would nail it to which i responded ‘Just wait till Sunday’. As mentioned the rest of the week no training was attempted, although lots of sight seeing (touristy stuff – other blog/s to follow) was done. Back on topic… Race day. Having parked the car at my Uncle’s office in town it is just a few short km’s down to the start line. Although this is nice to warm the legs up, it is often short live as by the time you get into your pen with all the other cyclists and slowly make your way to the start line your legs have cooled down again, as I had come to find out the first few km’s into the race.The one thing I love about any sport really is the camaraderie amongst fellow sportsmen, talking to others at the start usually makes the time fly by and even during the race. 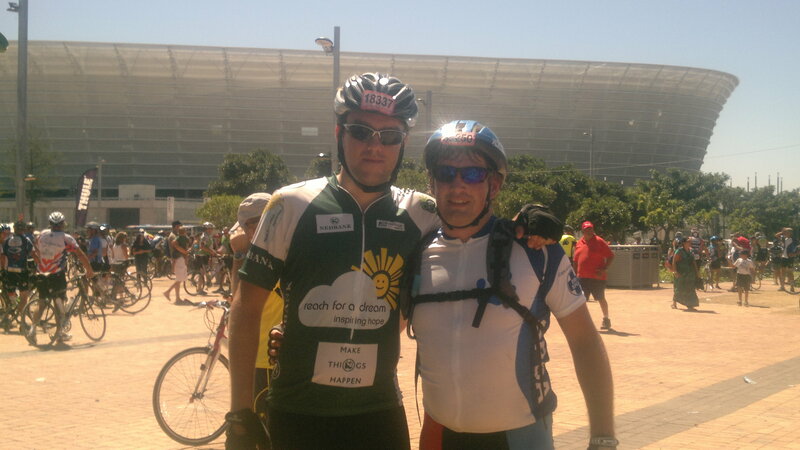 At this point I was glad to have run into my fellow club mate Tony, this being his first Argus I gave him a quick run down of the route and what hills are to be expected. I mentioned to him I was looking for a 3 hour finish and for himself it was just time in the saddle prior to the Ironman. As the start gun went off we bid each other adieu and good luck. As I mentioned about my legs not having time to warm up – I felt them working hard right up to the top of Top of Edinburgh Drive, pushing hard to reach my split times and to get my legs warm which of course only happened along the M3 – damn you cold legs. At this point I knew my 3 hour mark was out but i was still on track for a 3h30 finish, good enough for me! I had found a nice group to ride in but this group was quickly lost on Boyes drive clearly dividing those who had put some serious time in the saddle. 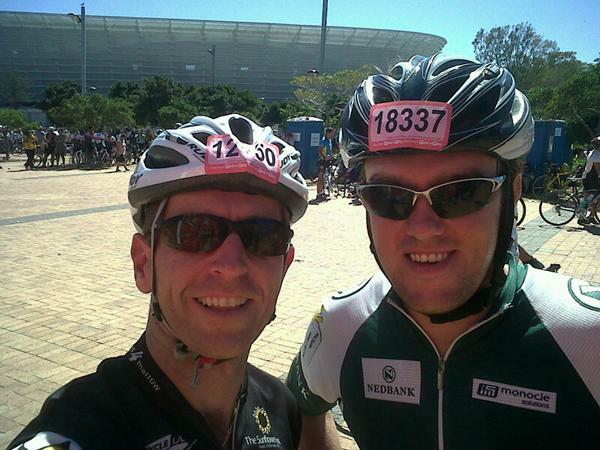 Boyes drive went rather nicely, the climbing was good and I was warmed up nicely by this point. 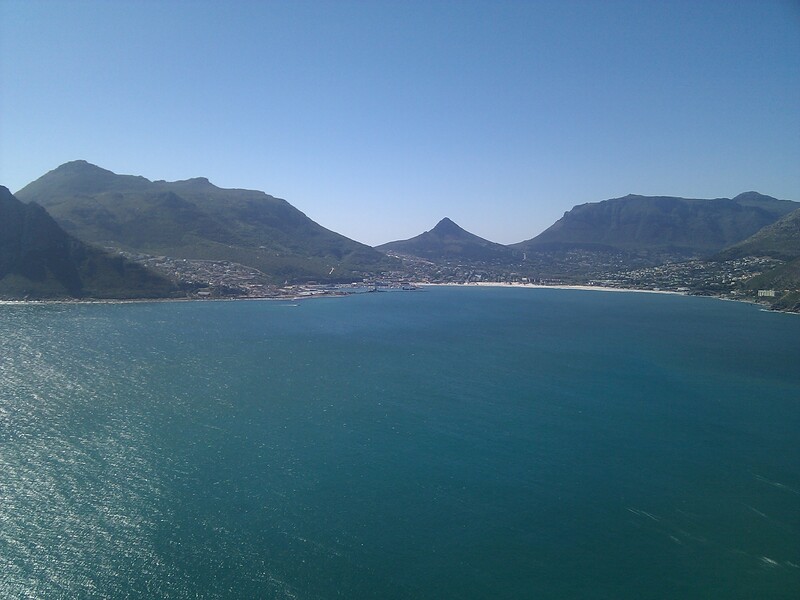 Heading out the bottom of Boyes and towards FishHoek was a nice stretch as well. 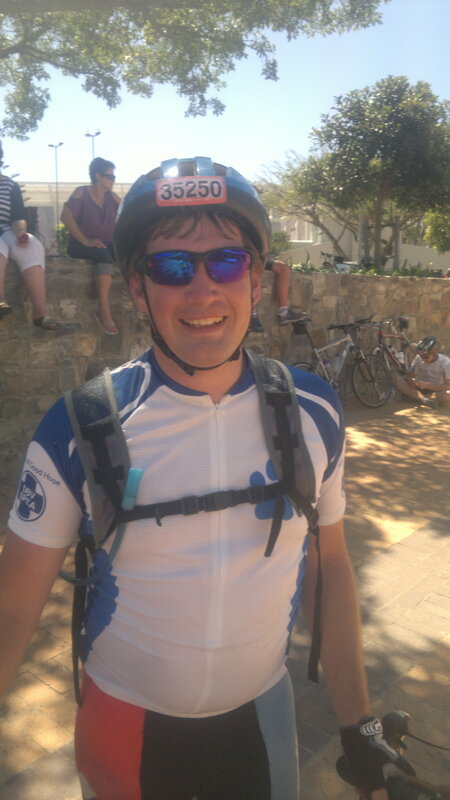 Coming into FishHoek though I felt a tap on my shoulder only to realise it was Tony saying to me ”Hey! What you doing? Let’s go!”. (Time in the saddle? Psssh). Breaking away from my group I slipped in behind Tony and we started heading towards Simons Town and then eventually Smitswinkel (the next big climb). Having ridden with Tony before on club rides I discovered he is a really strong hill climber and have since found that riding with someone like this makes a world of difference riding up hills. Having said that, riding up Smits with Tony was a breeze, myself leading the first half of the hill and Tony taking the second part. From the top of Smits towards Misty Cliffs is a fast part and having found a nice group to sit in, we were easily averaging between 40 – 50km/h. Just before Misty Cliffs though the group dispersed and I found myself riding alone, trying to find another group to stick in at this point was hard as they were just not keeping a nice pace. Deciding to leave them rather I pulled out and set my own pace, before long as with is any race, you’ll have a number of cyclists sitting behind you. I don’t mind carrying groups but everyone should take a turn up front and lead for a while, it just makes it easier for everyone. Having carried the group right up to the hill leading up to Sun Valley, I decided I had enough and motored forward leaving them behind and passing 2 other groups in the process, I love hills (Ok it’s more of a love hate relationship really) but still I love hills. Want to break away from a group, become a strong hill climber! One of the highlights of the race though was running into @Scott_Tait at the finish while waiting (2 hours) for Chris to finish. And then just some photo’s of myself (in my RFAD kit) and Chris. 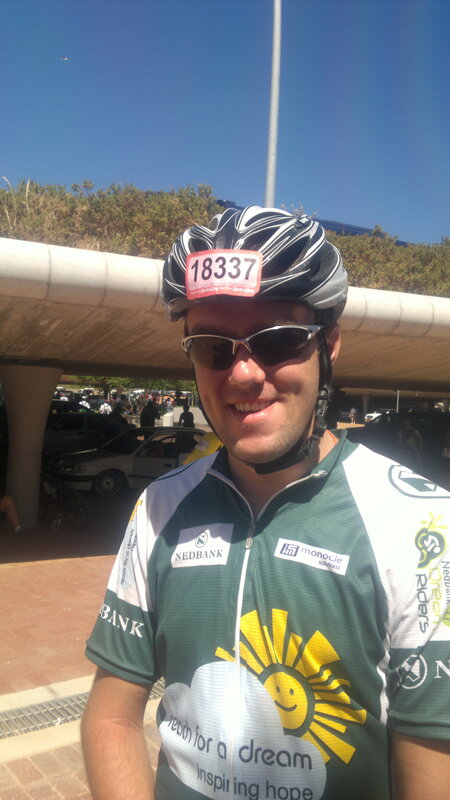 Big ups to Chris though for finishing in 4h20 for his first Argus with very little saddle time.